A forum of national patient advocacy groups and medical and scientific organizations. 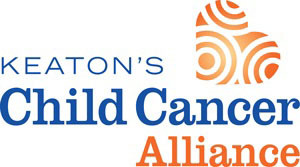 PAC2 members grow, organize and plan and take action as one voice united against childhood cancer. Since its very beginning, St. Baldrick’s has funded the Children’s Oncology Group (COG). This is the world’s largest pediatric cancer research network, more than 200 institutions with the expertise to treat childhood cancers, across the U.S. and beyond. The COG's cooperative research is crucial to progress in finding cures and improving life for survivors. COG institutions treat 90% of children with cancer in the United States through clinical research trials, their best hope for a cure. By funding the COG, the St. Baldrick's Foundation helps children everywhere. A national collaboration of leading nonprofit organizations working together to raise awareness and advance research to find a cure for childhood cancer. The St. Baldrick’s Foundation and the Kids First Data Resource Center have in common a very important goal: to see that no research data goes to waste – that all data that can be used for childhood cancer research is shared with – and accessible to – researchers everywhere. Griffin's Guardians was created by Erin and Adam Engle in memory of their son, Griffin, who fought a courageous battle with Glioblastoma Multiform, an aggressive form of brain cancer, at the age of seven. Griffin's Guardians' mission is to continue the fight for Griffin by providing support and financial assistance to children battling cancer in Central New York, to bring awareness to Pediatric Cancer and to provide funding for Pediatric Cancer Research. We strive to help the brave little heroes of today and provide HOPE for tomorrow! To support children with cancer and their families by providing emotional, educational and financial support while increasing awareness and funding a cure. 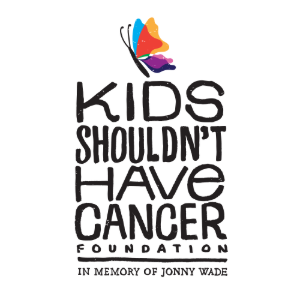 The Kids Shouldn’t Have Cancer Foundation was founded in memory of 8-year-old Jonny Wade shortly after his passing. Despite the circumstances, Jonny believed he could make a difference for other children affected by cancer and made a selfless wish to his parents: “I don’t want any other kid to have cancer.” Pediatric cancer is the leading cause of disease-related death for children under the age of 15 in the United States. The 501(c)(3) nonprofit’s mission is to conquer pediatric cancer through research and political action, with an emphasis on responsible spending. For over 20 years, the Making Headway Foundation’s mission has been to provide care and comfort for children with brain and spinal cord tumors while funding medical research geared to better treatments and a cure. Today, Making Headway carries on with our unique work, offering a continuum of services that includes individual counseling, educational advocacy, in-hospital quality-of-life programs, scholarships, fun family events, medical research grants, facilitating clinical trials, neuro-oncology fellowships, and so much. Visit www.MakingHeadway.org for more information. The McKenna Claire Foundation was conceived after Kristine and Dave Wetzel lost their youngest daughter, McKenna, to Diffuse Intrinsic Pontine Glioma (DIPG) two weeks shy of her 8th birthday. Their mission is to cure pediatric brain cancer by raising awareness, increasing community involvement and funding research. They envision a world shining with possibility and free of pediatric brain cancer; where families can remain whole and little dreams can become big realities. Micaela’s Army Foundation was founded in loving memory of Micaela White in 2012. Micaela fiercely fought Acute Myeloid Leukemia at the age of 18. Originally, Micaela’s Army was a group of prayer warriors who loved and supported Micaela throughout her battle with AML. Now, Micaela’s spirit inspires us to fight to find a cure for childhood, adolescent, and young adult cancers. Their mission is to raise and donate money to help fund cancer research, education, awareness, and patient support for the cancers that affect children and their families. The Northern Nevada Children’s Cancer Foundation’s vision is to reach every family affected by childhood cancer in the Northern Nevada and Eastern Sierra regions. Their mission is to enhance the quality of life for children with cancer and their families by providing financial assistance and compassionate support programs while advocating for increased research funds and raising public awareness. Today, we can adapt the immune system to help fight cancer. Unfortunately, cancerous tumors have shown a remarkable ability to adapt in their own way, limiting the effectiveness of treatments for conditions like osteosarcoma. Researchers from Case Western University and Baylor University are seeking to change that. Established by 17-year-old Todd Schultz of Glen Carbon, IL who is in treatment for high risk Philadelphia chromosome positive acute lymphoblastic leukemia, Painting the Town Gold helps communities take up the fight against childhood cancers throughout September by hosting a wide variety of fundraisers. Painting the Town Gold focuses their mission on providing research funding for all types of childhood cancer. 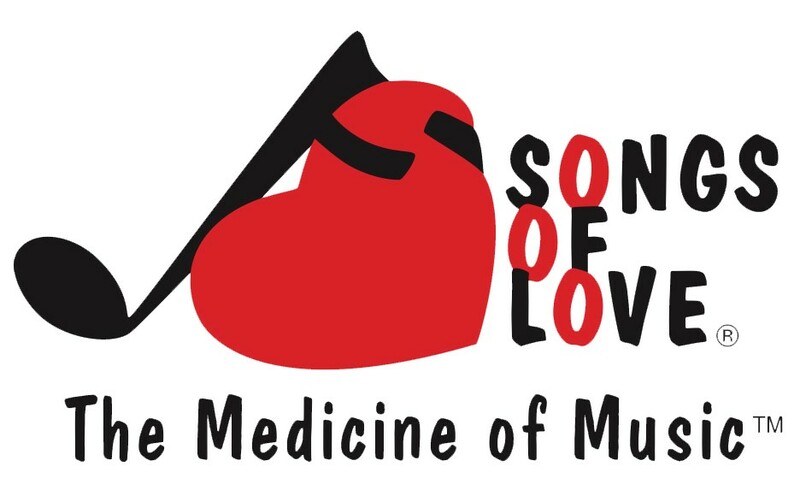 The Songs of Love Foundation is a national nonprofit 501(c)(3) organization that creates uplifting, personalized songs for children and teens struggling with a life-threatening illness or lifetime disability--free of charge. Each song is professionally produced with lyrics containing the child's name and references to all of his or her favorite activities, things, people, and pets. Songs are written and performed in the musical style that the child likes best (pop, r&b, rap, rock, alternative, etc. ), by a variety of talented professionals. Songs can be requested online at songsoflove.org/request or via our free mobile app at songsoflove.org/apple or songsoflove.org/android. Stand Up To Cancer and the St. Baldrick's Foundation are joining forces to conquer childhood cancers. Stand Up To Cancer (SU2C) is a groundbreaking initiative created to accelerate innovative cancer research that will get new therapies to patients quickly and save lives now. Team Campbell Foundation aims to improve the lives of those fighting childhood cancer by raising awareness, funding research and providing psycho-social enrichment opportunities. We are thrilled to be partnering with St. Baldricks to fund the critical research necessary to find a cure for childhood cancer. A diagnosis of critical illness changes the life of a family in an instant. The simplest daily tasks become overwhelming for parents caring for their sick child. We work with hospitals and social workers to support basic and fundamental needs for the whole family, to give a family more time to care for their sick child and be with their other children. The core programs we offer address the unique, unmet needs of each family, helping them through the medical crisis and back to self-sufficiency. The V Foundation for Cancer Research is a charitable organization dedicated to saving lives by helping to find a cure for cancer. The Foundation seeks to make a difference by generating broad-based support for cancer research and by creating an urgent awareness among all Americans of the importance of the war against cancer. The Foundation performs these dual roles through advocacy, education, fundraising, and philanthropy. The Ty Louis Campbell (TLC) Foundation was created in memory of Ty, who lost his 2-year battle with brain cancer just days after his fifth birthday. The TLC Foundation funds innovative research and clinical trials specifically geared toward the treatment of the deadliest childhood cancers (including brain and spinal cord tumors). TLC seeks less toxic, more effective treatments that are specifically designed for children fighting cancer. Their ultimate mission is to help fund the intelligence and technology that will uncover new ways to cure children with cancer.